The exploitative companies are mainly consortiums like Driscoll’s in the United States. Working together with human rights organizations and territorial defenders in both countries, the day laborers succeeded in launching a widespread boycott against this corporation as a way of pressuring the owners to meet their demands. 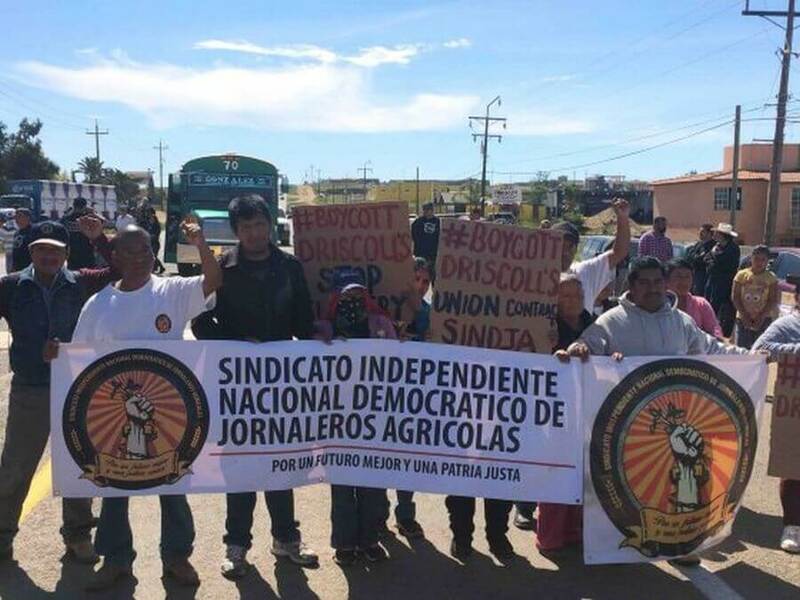 As the Caravan made its way through nine states in Mexico, it was joined by teachers of the CNTE, collectives in defense of the water in Mexicali and several different labor and social organizations supporting the farm workers’ struggle. Ke Huelga Radio reported that the Caravan made a stop in the city of Ensenada to condemn the lack of basic services, such as drinking water, sewerage and highways. Caravan members also denounced the lack of specialized medical attention, especially maternity and pediatric benefits and those related to on-the-job accidents and pollution damages suffered due to the use of agro-chemicals in the field. In Tijuana, the Caravan stopped at the Chaparral border crossing between the two Californias, where migrant day workers and social organizations from the United States joined Mexican workers in denouncing outrageous labor conditions in both agricultural territories. Furthermore, they decided to resume the global boycott of berries produced by Driscoll’s. As the Caravan approached Mexicali, it was pursued by police in patrol trucks who pointed at people with long arms, forcing them to get off the buses. The detained workers, however, turned the aggression into a protest, blocking the highway for several hours before they were able to continue on their way. In a news program of Hijos de la Tierra, it was reported that around noon on March 8th, the travelers met with Mario Luna and the traditional authorities of the Yaqui Tribe in Vicam, Sonora. “The meeting was very moving with the two groups recognizing each other as actors in significant struggles of original peoples, who after 500 years of living under constant siege, are still very much alive and standing up for their rights.” On International Women’s Day, both groups noted the valuable contributions made by women to the struggle. After passing through the states of Sonora, Sinaloa, Nayarit, Jalisco, Michoacán, Querétaro and México state, the Caravan brought its activities to a close in Mexico City on May 17th. Outside the federal Attorney General’s Office on Reforma Avenue, the farm workers met with the Committee of the Fathers and Mothers of Ayotzinapa to demand that the federal government undertake a real investigation of the events of September 26 and 27 of September, 2015 and punish those responsible for the disappearance of the 43 students. 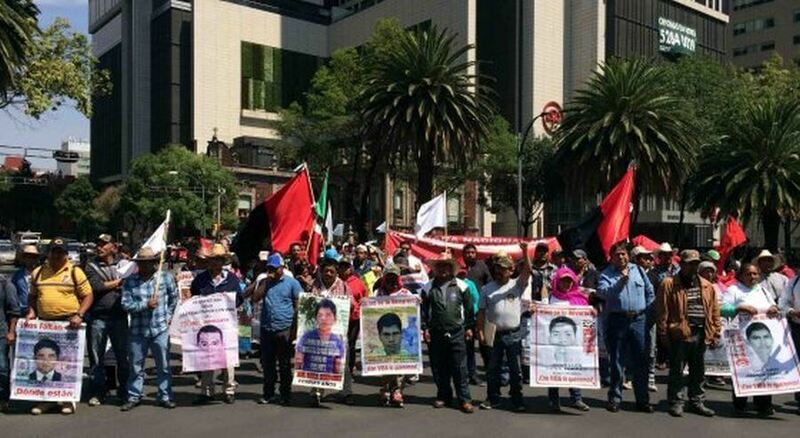 Other farmer and worker organizations joined in a march to the Anti-Monument of the 43 and then continued on to the rally at the Monument of the Revolution. There, the SINDJA spokesperson underscored the demands raised by the Caravan and proposed the formation of a national union of agricultural day workers. It was also announced that solidarity actions were underway that day in Baja California. 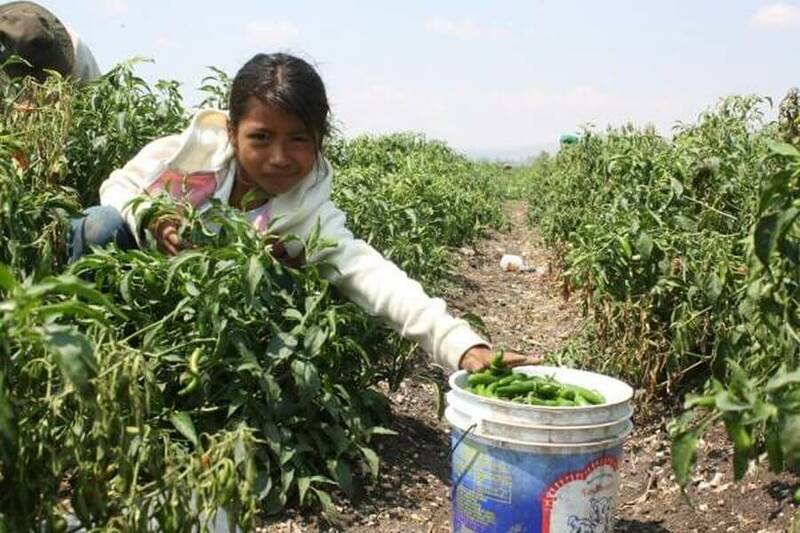 Previous Previous post: Donate and Support El Enemigo Común!